When heavy rains fall on New Orleans, a city that’s below sea level, it floods. Unless the flood waters can be pumped out. 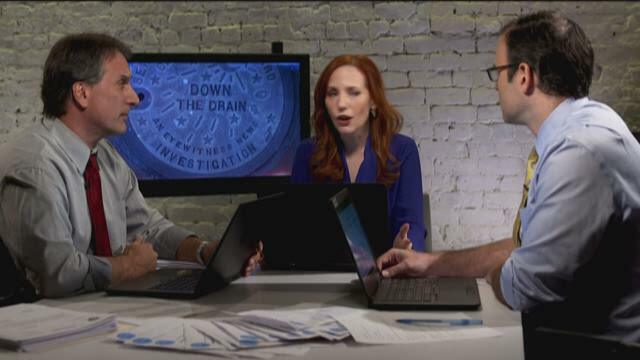 “If you can’t keep the water out of the city, then you don’t have a city,” is how one business owner put it in WWL-TV’s investigation into New Orleans’ sewage and water board, the agency that handles the city’s pumping and drainage systems. WWL is the city’s Tegna-owned CBS affiliate. Not many places you’ll live is the sewage and water board so much in the news, as it is in New Orleans. That’s because pumping water out during a flooding situation is critical when there’s nowhere for the water to go otherwise. How could a city built below sea level allow its drainage system to deteriorate to this condition?Watch "Down the Drain" Wednesday at 6 p.m. But as you’ll see when you watch WWL’s hour-long analysis, Down the Drain, there are still big problems, even in a typical rain summer rain shower. For example, it’s hard to maintain more than 1,200 miles of underground drainage pipes, some that go nowhere, when your work force is only 75% of what it should be. Since the August 5 flood, our investigative team has been trying to figure out how the city could flood from a thunderstorm. I got an email from Josh Meza, WWL’s marketing director, alerting me to the special, which aired on Wednesday. “Something big happened here last night and I wanted to make sure you knew about it,” wrote Meza. “Having lived in NOLA, I ‘m sure you’re well aware of the constant battle we face with Mother Nature when it comes to flooding. Until now, many had faith in the city’s pumping and drainage system, then it failed during a fairly typical rain storm on Aug. 5. “That failure opened Pandora’s box, why did it fail, who is to blame, how many millions were wasted updating a century-old system? “Our team of investigators spent months combing through emails, uncovering records, and interviewing employees to get answers to these questions and more. And last night we revealed ALL in a 1-hour special called, Down the Drain. I watched the entire special. And Meza’s right about this making us all proud to be part of this industry. There are some interesting production techniques used in this special, like having the three investigative reporters shown in a room discussing the facts of their work as transitions. And the graphic depictions of the city’s pumping stations makes clear the issues of why, in this case, some stations weren’t working, and how that contributed to the flooding. Overall, this is exceptional work. WATCH NOW: 'Down the Drain' – a documentary on the problems with New Orleans drainage and pump problems. 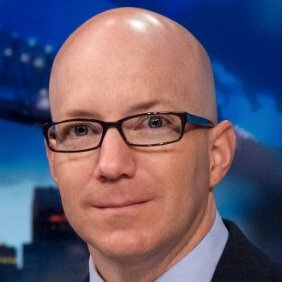 NOTE: I worked at WDSU, the NBC affiliate in New Orleans, as a writer/producer in promotions and then later returned as the creative services director at WWL. I have never seen rain as it rains in southern Louisiana. More than an inch of rain in an hour is not uncommon. Here’s a clip of a home movie I shot of a flooded street right around the corner from my house. Not a major event, more like business as usual. As a homeowner, you learn the importance of keeping your gutters clean from debris if you want to keep water from your house. One evening, I was driving home from work, but the roads were flooded. I had to keep half of my car up on the median (called the neutral ground in New Orleans) to keep my car from stalling out. Eventually, I found a shopping center and parked, along with many other commuters, to wait out the rain and let the water go down enough to drive on. While waiting, a pickup truck went to make a U-turn on the road next to where we were waiting. He thought he was going over the median, but instead, his truck dropped out of sight, disappearing into a canal. Seconds later, his head popped up, and he swam to safety.